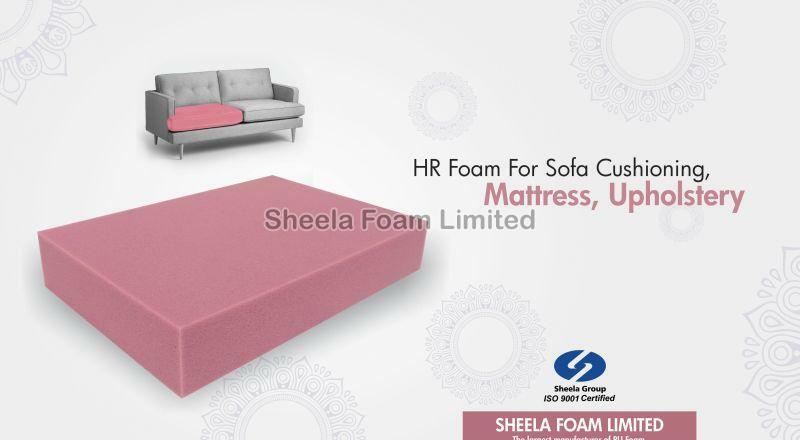 We manufacture and supply High Resilience(HR) Foam at cost effective prices to numerous customers. We can also make customized product as per specification provided. We offer secured online and offline payment processing methods. The transaction, done through online mode, is instantly forwarded to the payment system. We also accept bank account transfers, cash payments, etc. We have hired a team of professionals who work in complete adherence with the industry norms to deliver the best quality products to our valued patrons.